Mary Birks had never worked as an executive director at a nonprofit prior to accepting her job at Outreach Teen & Family Services early last year. She had experience with nonprofits, including three years as educational programs manager for Girl Scouts of Western Pennsylvania, and she has served on nonprofit boards such as the Mt. Lebanon School Board, where she’s in her second term. But in her new post at Outreach, Ms. Birks has had to tackle tasks slightly out of her comfort zone, such as finding new funding sources and refocusing the agency’s brand on its core counseling services. “I had heard the executive director’s position is the loneliest job in the world, and I believe that,” she said. So she was grateful to obtain some guidance through the Forbes Funds’ executive-in-residence program. Launched in 2014, the initiative provides nonprofits with a seasoned professional to help them work through issues like strategy, finances and staff management. 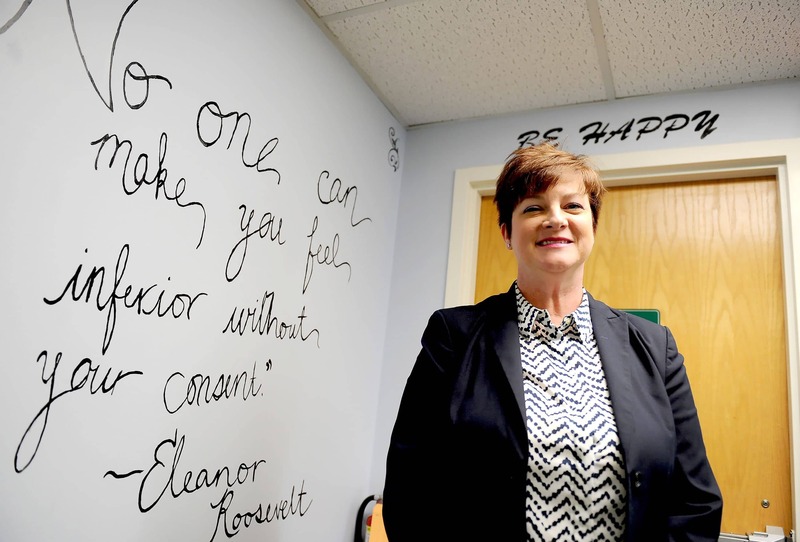 Since its creation, the program has employed only one retired executive — Don Goughler, the former chief executive of Family Services of Southwestern Pennsylvania. But with a recent grant of $100,000 from the Allegheny Foundation, the program is expanding and adding four more professionals who will work part-time to assist nonprofits in the Pittsburgh region. Nonprofits don’t pay for the service and typically get six months of one-on-one counseling. Outreach, based in Mt. Lebanon, is one of 100 nonprofits that have participated to date. Many of those organizations were grappling with fallout from the 2015-16 state budget impasse “so it was significant to help them deal with that,” said Kate Dewey, president of the Forbes Funds, an affiliate of the Pittsburgh Foundation, which has a mission to help nonprofits in the Pittsburgh region improve their management and impact. While for-profit businesses routinely pay retired executives and outside consultants for counsel, “Nonprofits don’t have that kind of discretionary money to have a stable of one or two people they can call for disruptive situations or to think through ideas,” Ms. Dewey said. The McCune and Jefferson Regional foundations funded the executive-in-residence pilot program in 2014 with grants totaling $100,000. The Jefferson Regional foundation provided $25,000 in support last year. Mr. Goughler, who spent decades in the social services sector including his last full-time job running Family Services, meets with Ms. Birks once a month at Outreach’s office in Mt. Lebanon. The two talk through policy and operational issues ranging from human resources, to finances and fundraising, she said. Outreach has an annual budget of about $600,000. Ms. Birks oversees a staff of four and the agency’s clinical director, Christina Hostutler, oversees 19 counselors who work with teens and families on mental health and emotional issues. Until October, she and Ms. Hostutler were part-time employees. Once the agency’s board approved the change to full-time, Mr. Goughler helped her manage the transition. “That was a bold move for our board so we had a lot of conversations about efficiencies and where to focus,” she said. Mr. Goughler also advised her on how to raise money. With his encouragement, Ms. Birks said, Outreach has obtained grants from new sources including the Alcoa, FISA and Grable foundations and the Mt. Lebanon Community Endowment. Joining Mr. Goughler as the new executives in residence are Debra Caplan, former senior vice president of the Allegheny Health Network; Sam Stephenson, certified public accountant and retired director, Baker Tilly Virchow Krause; Marilyn Sullivan, retired executive director, Bethlehem Haven; and Deb Sadowski, who plans to leave her current post as director of the work study program at Holy Family Institute later this year. “There’s an increased thirst for that kind of help among nonprofit leaders and nonprofit board members,” said Ms. Sadowski, who expects to focus on helping nonprofits figure out technology strategies and how to fund them. With more consultants available, the program should be able to serve more nonprofits and continue to respond to those seeking help within three to five days, Ms. Dewey said.